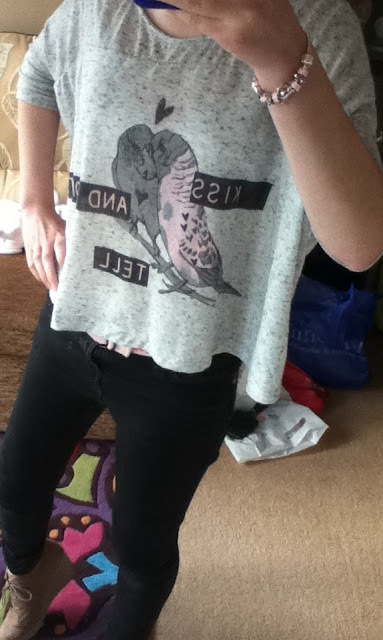 I am wearing my super skinny black jeans from primark with my "kiss and don't tell" bat win top also from primark. My small wedge booties from new look. I an also wearing my custom made silver charm bracelet from a small eBay seller.